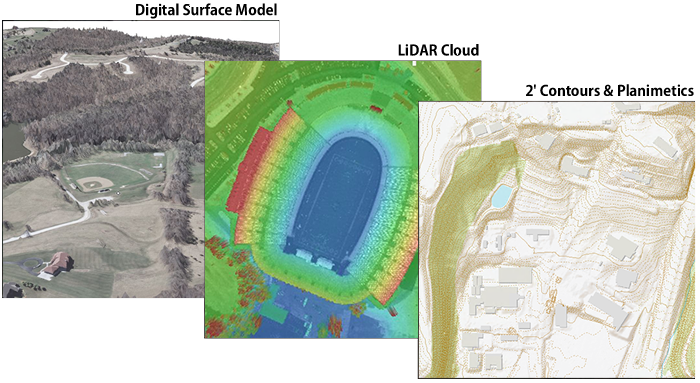 LiDAR is a remote-sensing technology that uses laser pulses to measure surfaces and objects in three dimensions. Millions of data points are collected from a sensor that can be mounted in a variety of aircraft and ground-based mobile platforms. 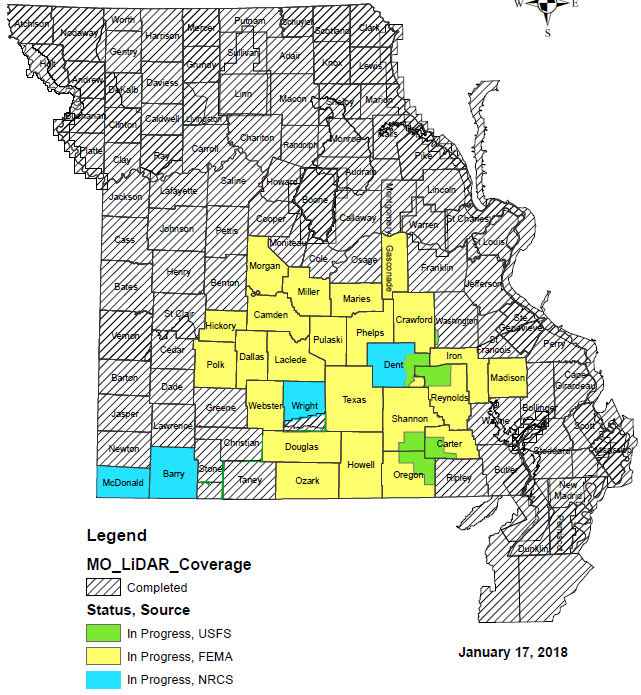 In recent years LiDAR has become the predominant method for county-wide topographic mapping in Missouri. The technology has changed the way elevation data is acquired and processed, and has made topographic data more accurate – and affordable – than ever before.